Following in the footsteps of the US, Israel announced its exit from UNESCO, citing the it’s “attacks” on the Jewish state. The move comes after 128 UN members voted to reject the US’ recognition of Jerusalem as Israel’s capital. 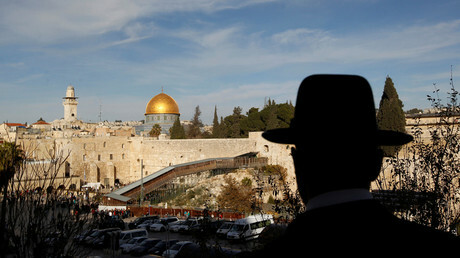 The decision was based on the UN-run agency’s “attempts to disconnect Jewish history from the land of Israel,” Foreign Ministry spokesman Emmanuel Nahshon said. He added that the official letter of withdrawal will be submitted by the end of the year and that Israel will effectively leave the organization by the end of 2018. Israeli Prime Minister Benjamin Netanyahu has instructed Israel’s envoy to UNESCO, Carmel Shama-Hacohen, to officially announce the withdrawal, Haaretz reports. In doing so, Tel Aviv joins Washington, which announced in October that it will leave UNESCO due to its “continuing anti-Israel bias” and “the need for fundamental reform in the organization.” According to Haaretz, Netanyahu made the decision after a series of discussions centered around Israel’s desire to not leave the US isolated in the move. According to UNESCO regulations, a member state’s exit takes effect on December 31 of the year after the official letter of intent is submitted. Even though the US made its official announcement earlier in October, both countries will leave the agency at the same time. Israel’s announcement comes after 128 UN member states voted on Thursday at the General Assembly to reject US President Donald Trump’s recognition of Jerusalem as the capital of the Jewish state. Nine states voted against the resolution and 35 nations abstained. srael’s relationship with UNESCO has deteriorated since October 2016. Tel Aviv suspended ties with the organization after a draft resolution noted the importance of Jerusalem to three world religions – Christianity, Judaism, and Islam – but made no reference to why the city is significant to Christians or Jews. “Just withdrawing, just leaving the field [of UNESCO] to others is not acceptable to many Israelis who also don’t think that the accent that some politicians put on the Jewish character of Israel is appropriate,” Amir Oren, an Israel-based columnist, told RT. He said the decision to leave will hurt Israel’s cooperation in education, science and the arts, and possibly affect financial aid from UNESCO.